Center Valley, PA May 10, 2017 – The JetPay Money Access Card has been selected as a winner of the 2017 Pay Awards in the Best Design category by the Paybefore judges. For 11 years, Pay Awards has conferred the most prestigious recognition of excellence in prepaid and payments technology industry. The awards are presented annually by Paybefore, a leading publication for industry information for payments executives worldwide. The JetPay Money Access Card is a prepaid payroll card solution offered exclusively to JetPay clients. The JetPay Money Access Card was designed purposefully. It was critical that the card’s brand identity complement its core values. The values the card represents include financial freedom and convenience. The JetPay Money Access Card is an indispensable financial tool for cardholders as it provides them with all the functionality of a traditional bank account without the high monthly fees and inconvenience. 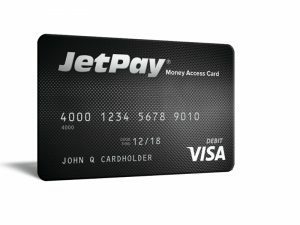 The JetPay Money Access Card now will vie for Best-in-Category distinction, which will be announced in Pay News the week of June 12. Visitors to Paybefore.com will have a chance to vote on Best in Category through May 31. The outcome of this vote will be combined with the judges’ picks to determine Best-in-Category honorees, all of which will be profiled in the Pay Magazine – Awards Issue.